What’s the Price for the 2018 Nissan Rogue Sport? What’s New for the 2018 Nissan Rogue Sport? The Nissan Rogue has been offered as a compact crossover SUV for many years, but the variation of the Rogue Sport was only introduced in the 2017 model year. Compared to the standard Rogue, the Rogue Sport is smaller, and it only comes with a 2.0-liter engine. When you learn more about the 2018 Nissan Rogue Sport by stopping by Carriage Nissan, you will learn that the 2018 model year is available in the S, SV and SL trim levels. All three trims for 2018 can be purchased with either an all-wheel drive or front-wheel drive drivetrain based on your personal preference. When you compare the Sport model to the standard Rogue, you will notice that it has smaller dimensions all around, but it retains the same front-end style with a V-shaped grille. The profile is similar, but the rear design is individualized. At the base level, the Rogue Sport for this model year is equipped with comfortable seats and space for five adults, a sound system with four speakers, USB ports, Bluetooth technology, a five-inch infotainment feature, a surround-view rearview camera, power door locks and windows and other interior features. It also has exceptional safety features, such as numerous airbags, a lane departure warning and auto emergency braking. 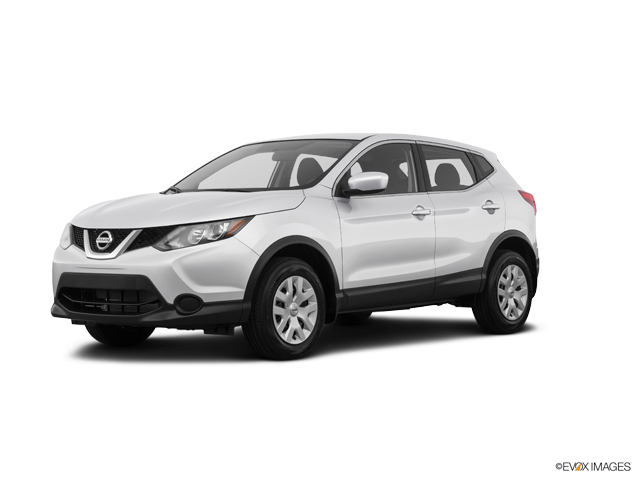 The 2018 Nissan Rogue Sport is known for delivering slightly less performance and power on the road compared to the standard Rogue, but it nonetheless has capable performance that makes it a pleasure to drive. The only engine option available for this model year is an inline four-cylinder, 2.0-liter engine with a continuously variable transmission. You will enjoy up to 141 horsepower along with 147 foot-pounds of torque with this engine. The base wheels are 17 inches, but the high-end trim comes with 19-inch wheels for added style and performance capabilities. Keep in mind that this vehicle is much lower to the ground that the traditional Rogue, which creates a more maneuverable feel behind the wheel. Finding a capable and well-equipped compact crossover SUV may seem frustrating. While there are many options on the market to consider, it may seem like none of the options perfectly meet all of your needs while also providing you with the extra features that you prefer to have. This frustration ends when you take a closer look at what the 2018 Nissan Rogue Sport brings to the table. During your test drive at Carriage Nissan, you will have a chance to compare the Rogue against the Rogue Sport to see the differences in person. You can also admire each of the three Rogue Sport trims available for this model year. The sales team at Carriage Nissan is available to assist you as you make these comparisons by providing you with accurate, detailed information about the options. Our sales professionals are focused on customer satisfaction, and we accomplish our lofty goal by creating a no-pressure buying experience. We focus on helping you make a thoughtful decision about which vehicle to buy. If you are in the market for a new compact crossover SUV, you cannot go wrong when you choose to take home a Rogue Sport. Contact our sales professionals today for more information about the Rogue Sport and to set up an appointment for a test drive. ** 2018 EPA Fuel Economy Estimates 25 city / 32 highway (Front-Wheel Drive), 24 city / 30 highway (All-Wheel Drive). Actual mileage may vary with driving conditions – use for comparison only.